The Bank of England has recently warned the banks regarding the easy availability of credit. As a result of these warnings the best 0% balance transfer offers in 2019 have reduced in length. Here at Balance Transfer Expert we compare the whole UK market and currently have over 85 different 0% balance transfer credit cards to choose from. 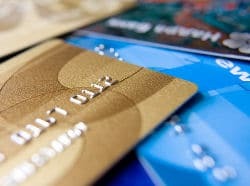 So what makes a credit card stand out as one of the best balance transfer credit cards of 2019? The longer the 0% introductory rate lasts, the more money you can save on interest. Any repayments you make above the minimum payment will also repay your debt faster. In this case a smaller percentage handling fee is better, meaning you pay less in fees. No one knows the exact credit scoring used by the individual card companies, but do you have a reasonable chance of actually being accepted for the card? Taking all of the above factors into account and with the precondition that all individual cardholders circumstances will vary, here is our choice of the best 0% balance transfer credit cards currently available in 2019. The best balance transfer credit cards will generally only be available to those customers with a very good credit history. These customers will have no recent late payment or bad debt problems. Having a low level of outstanding debt in relation to your overall annual income will also increase your chances of being accepted for one of the best balance transfer credit cards in 2019. You can see the full range of all UK balance transfer credit cards, including all of the above 2019 best balance transfer credit cards on our balance transfer cards page.